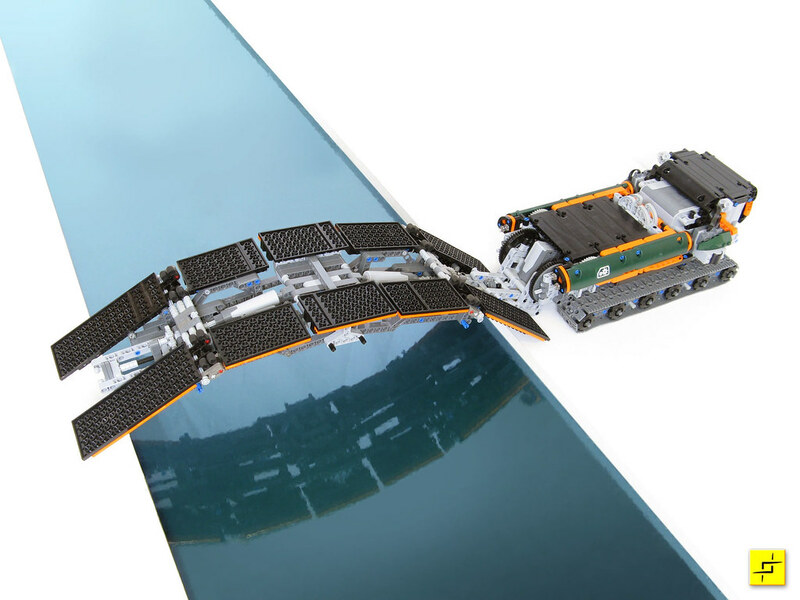 It is not the first time we see LEGO vehicles made to autonomously launch a bridge over a gap and cross it afterwards. 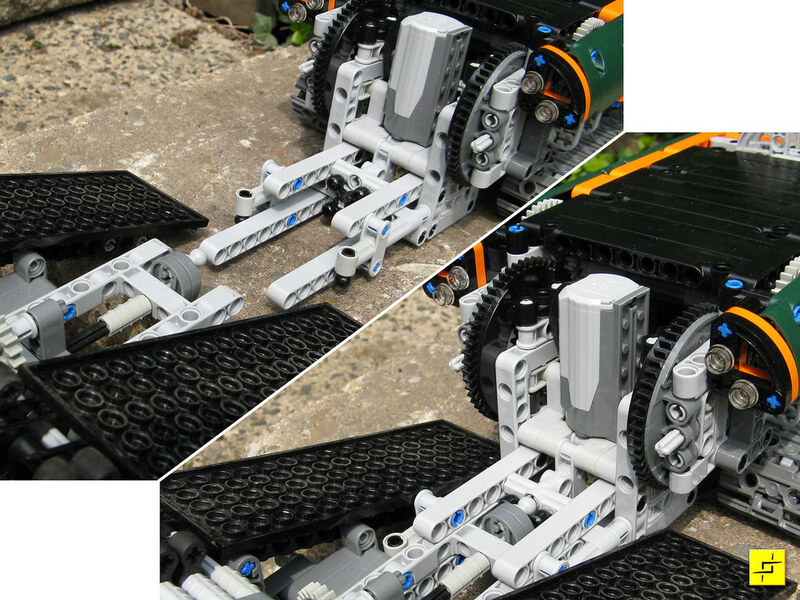 Some using the LEGO MINDSTORMS platform other pure Technic. Just few examples in these references: , , . 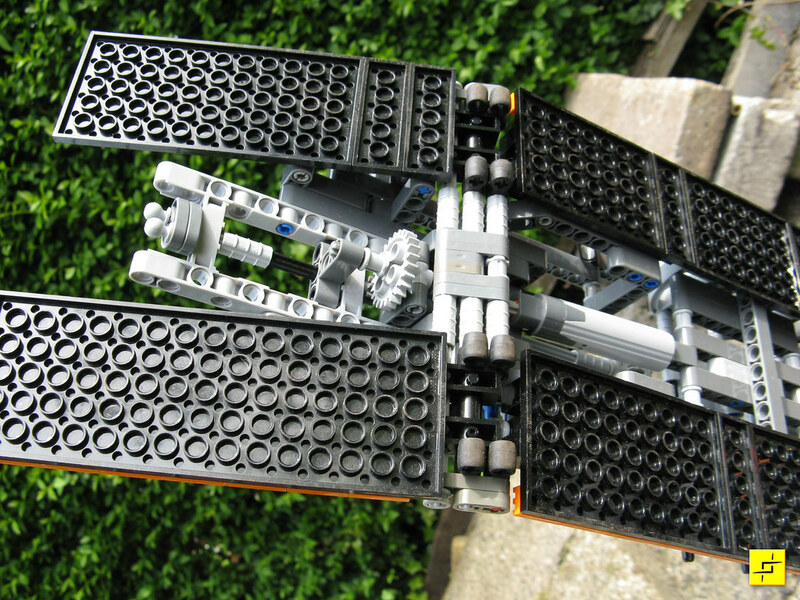 Now Peer Kreuger (Mahjqa) just shown his brilliant 'Stilzkin EXT3 Bridge Launcher', inspired by real-world AVLBs (Armoured vehicle-launched bridge), it can be used to deploy bridges to cross rivers, small chasms or similar obstructions. Has Peer explains at his photos, placing the bridge takes less than a minute. Once the span has been put in place, the launcher detaches itself from the bridge, and moves aside to allow traffic to pass. Once all of the vehicles have moved over, it crosses the bridge itself and reattaches to the bridge on the other side. It then retracts the span ready to move off again. Look into the details for the coupling/decoupling mechanism, bridge extension, etc... They are awesome. You may find additional photos at Peer's flickr photostream. Ok, this may not be the first, but it's definately the best-looking of its kind !! 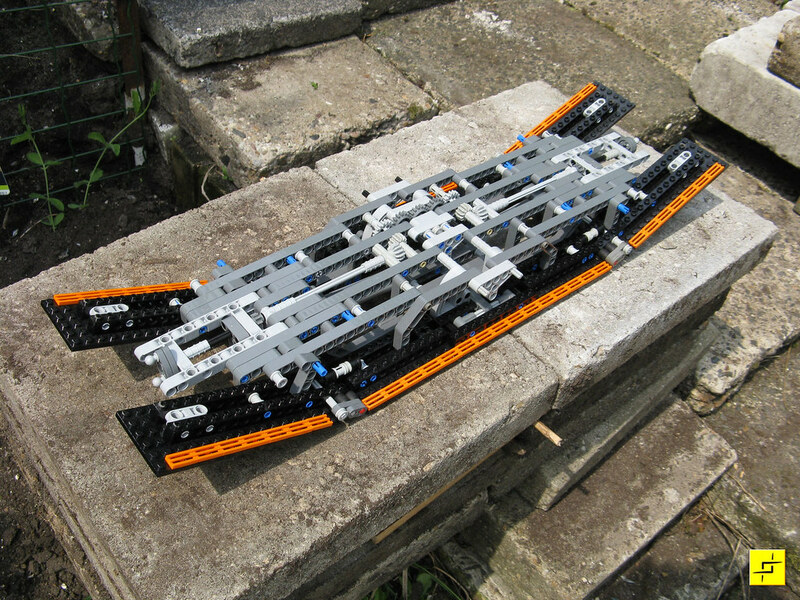 Well; at least it's 100% Lego-Technic and has no Mindstorms. 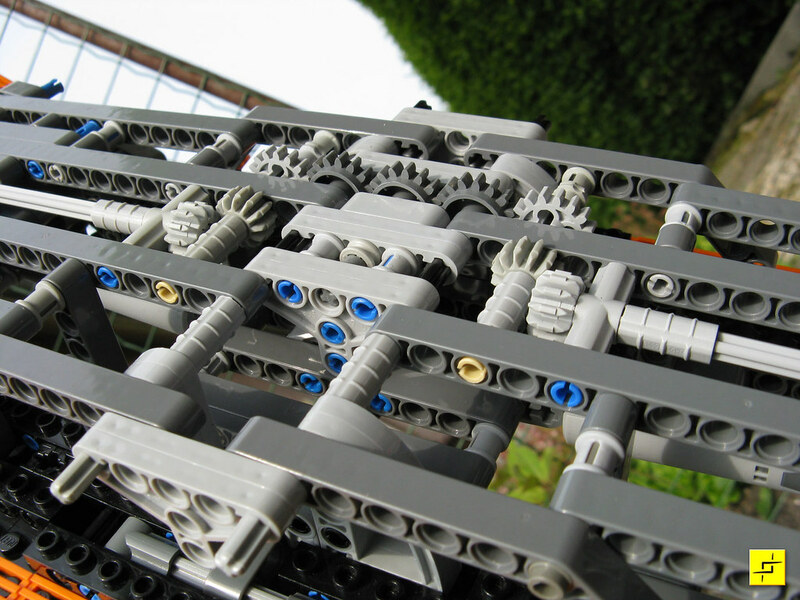 So we do have at long last a real TechnicBricks item! In my opinion it's not Mahjqa's best looking model, but it is for sure a highlight in Technic! Great one. The combination of the tank and the music is awesome. This is awesome, nice one.